The snowstorm that’s whalloping the Northeastern U.S. is throwing a wrench into the St. Patrick’s Day celebration in the community known as Iowa’s Irish Capital. Andy Joyce, with the Emmetsburg St. Patrick’s Association, says this year’s Irish Dignitary, Ann Rabbitte, is stuck in New York City for the moment due to the blizzard. “She came into New York and this is the first time for her being in the United States and she had some family there,” Joyce says. “We stopped her off for what we thought was going to be a quick trip to New York and it’s turned into a bit of a layover. 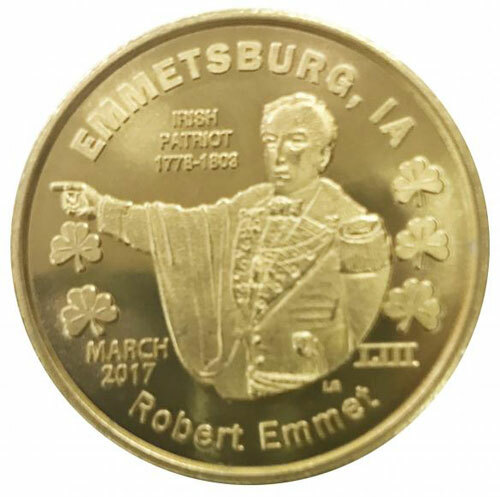 We’re hoping that tomorrow morning, she’ll fly into Des Moines and we’ll take a quick visit to the state capitol, she’ll meet the governor, address the House and Senate and we’ll move our way toward Emmetsburg.” Rabbitte is a member of the Irish Parliament and serves the East Galway Constituency. Joyce says they’ve had a member of Parliament visit Emmetsburg every year since 1965. “It’s been a nice, long-standing tradition to bring them over and it’s a great door opening into Dublin where the Parliament is and it’s one of our sister cities,” Joyce says. “It’s always been fun to have them here and take a look at our community and compare it to their own.” The celebration in the northwest Iowa town is already underway. Junior Miss and Miss Shamrock pageants were held Monday and a long list of events is planned through the weekend. For a complete rundown, visit www.emmetsburgirishgifts.com.